Grace Lee Boggs, Special Topic, "The Making of an Asian American Detroiter"
Durriya Meer, PsyD, for Scholarly Article, "Is there a South Asian Gay Identity? Understanding the Complexities of being South Asian and Gay"
Anna Shih, Poems and Short Stories, "How to Cook Like a Banana"
You can hear Frances Kai-Hwa Wang's daughters, Margot and Hao Hao, interviewed on the March 27, 2007 issue of "The World," a BBC (British Broadcasting Corporation) radio program called "Japanese Culture Report," about the increasing influence Japan has on American pop culture. Japanese superheroes are popping up in Super Bowl commercials and manga novels are preferred reading for many young Americans. The BBC was interviewing Roland Kelts, the hapa author of JapanAmerica--How Japanese Pop Culture has Invaded the US, and some other Japanese pop culture experts at a bookstore in Boston, and the girls just happened to be in the bookstore, sitting on the floor, reading a stack of manga as tall as they were. Margot is the first child's voice listing all her favorite manga. Hao Hao isn't identified by name, only as "Margot's friend" (she's really mad about that), but she's the second child's voice talking about why she likes manga...they're pretty cute...future Asian Pacific American culture critics perhaps?? Here's the link. On Saturday, September 20, 2008, Frances was inducted to the Michigan Chinese Women's Association's Who's Who of Michigan Chinese Women. Books may be obtained from Michigan Chinese Women's Association. Frances Wang won the "Share your Y Story" contest at the Ann Arbor YMCA for "Swimming it Away" published online fall 2008 and in their Winter 2009 newsletter. Check out Frances Kai-Hwa Wang's articles on pages 319 and 332! Finally, a comprehensive parenting book for adoptive families! Over 100 contributors have helped EMK Press to weave a stunning tapestry of advice specifically for adoptive parents. Parenting adopted children requires parenting with an extra layer and this book helps you to understand where that extra layer falls. This over 500 page book is a wealth of information for the newly arrived home family and the experienced family as well. This is a book you won t read all at once, but come back to again and again as your child s awareness of who they are develops and your awareness of how to help them increases. Our adopted children come to us from loss loss of a birthfamily, culture, and language. There are helpful things that we can do to address these issues, and Adoption Parenting helps you to create an awareness to do just that. We also look at stumbling blocks to good parenting, and standard parenting practices that aren t right for adopted children. We look at the core issues all members of the adoption triad face, and look at how that affects standard parenting challenges like sleeping through the night, discipline, and attachment. We cover specific challenges families have faced: FASD, Trauma and PTSD, Sensory Integration, Speech and Language delays, and at ways to effectively parent a post-institutionalized child or a child who has experienced trauma in their journey to you. The White House s Presidential Advisory Commission on Asian Americans and Pacific Islanders is coming to Ann Arbor, Michigan, on May 30-31, 2006 to meet with University of Michigan faculty and Asian Pacific Islander American (APIA) community groups. On Tuesday, May 30, 8:30 am 12:00 pm, the Commission will meet with UM faculty and students at the Institute of Social Research (ISR) at ISR Room 6050 to learn about their academic research on issues specific to US Pacific Islanders. Members of the community are welcome to listen and there will be an open forum at the end. On Wednesday, May 31, 9:00 am 12:00 pm, the Commission will meet with members of the Asian Pacific Islander American (APIA) community in a town hall meeting at UM North Campus Computer Science and Engineering Building in CSE Room 1670. There will be both formal presentations and an open forum for members of the community to speak. All members of the community are welcome. Some of the prominent Asian American leaders who will be making presentations to the Commission include Dr. Sook Wilkinson, Chair of the Governor s Advisory Council on Asian Pacific American Affairs; Roland Hwang, presiding officer of American Citizens for Justice; Stephanie Lily Chang, One Michigan United; Jimmy Hsiao, CEO of Logic Solutions and board member of Asian Pacific American Chamber of Commerce; Linh Song, Executive Director of Mamnon Organization. Wang said, This is an incredible opportunity to speak for our communities and to inform President Bush s national policies on Asian Pacific Island Americans (APIAs). This is also a great opportunity to network with national APIA leaders and get our concerns into the national conversation. Life as an Asian American or Pacific Islander in the Midwest is not the same as that in San Francisco or New York. In fact, it is remarkable that the President s Advisory Commission is coming here at all. This visit came about because one UM researcher, Sela Panapassa, went to a town hall meeting in Seattle, WA, because she assumed that the Advisory Commission would never come to Michigan. After learning that the University of Michigan has the highest concentration of researchers in Pacific Islander issues outside of Hawaii, and how the issues specific to Pacific Islanders are often lost when their numbers are mixed in with Asian Americans, the Advisory Commission decided that they had to come. Increase their level of participation in the national economy and their economic and community development. Anyone interested in speaking before the President s Advisory Commission, please contact Frances Kai-Hwa Wang with information about your community group and your proposed topic. Email fkwang@aol.com or call 734-930-2162. Those who might feel uncomfortable speaking in English, or who are unable to attend, can bring or send a written statement. Everyone is welcome to come and listen and ask questions. More info about the Presidential Commission on Asian Americans and Pacific Islander Affairs at www.aapi.gov. Map to the new CSE building, 1670 CSE (Note: This building is so new that it is not on many UM Maps. It is next to the Dow building, directly north of the Lurie Bell Tower. It is marked B on this map. Disregard the other notes on the map.) Visitor s Parking located on Murfin behind the construction: Only park in lots marked Visitor s Parking or VP. More information about Asian Pacific Islander Americans in the Midwest coming soon at http://www.imdiversity.com/villages/asian/. Diana Wong, PhD, EMU Assoc. Professor of Business, Strategy; President of American Society for Training and Development, Ann Arbor Chapter; President of Sensei Change Associates, LLC. Definition of terms: APA=Asian Pacific American, APIA=Asian Pacific Islander American, AAPI=Asian Americans and Pacific Islanders. Generally interchangeable and includes more ethnic groups than Asian American. Includes immigrants who are not yet citizens, multiracial people, and South and SE Asians. Thanks to the University of Michigan Institute of Social Research, Program in American Cultures APIA Studies, College of Engineering, and everyone who helped get the word out to their constituencies. The visitor s parking lot on Murfin (by Pierpont Commons) is the closest lot. There is a lot of construction in front of it, but there are many parking spaces behind the construction. After you park, you will be able to see the CSE building through the chain link fence, but you will have to walk around the construction to get to it. The CSE building is directly north of the Bell Tower. I hope to have power point capabilities if you want to use power point (you don t have to), please bring it on several media a jump drive, cd-rom and/or laptop to be safe. Advisory Commissioners will be leaving for the airport immediately afterwards. Two Advisory Commissioners and three federal agency reps are confirmed so far. Please continue helping to spread the word. Thanks. The White House s Presidential Advisory Commission on Asian Americans and Pacific Islanders made its first official visit to Michigan on May 30-31, 2006 to meet with University of Michigan (UM) faculty and Asian Pacific Islander American (APIA) community groups. Federal agency representatives from the Department of the Interior and the Environmental Protection Agency also attended. That the Presidential Advisory Commission decided to visit Michigan at all was remarkable and came about because one UM researcher, Sela Panapassa, went to a town hall meeting in Seattle, WA, because she assumed that the Advisory Commission would never come to Michigan. After learning that the University of Michigan has the highest concentration of researchers in Pacific Islander issues outside of Hawaii, and how the issues specific to Pacific Islanders are often lost when their numbers are mixed in with Asian Americans, the Advisory Commission decided that they had to come. On Tuesday, May 30, the Commission met with UM faculty and students at the Institute of Social Research to learn about the history and academic research challenges specific to studying US Pacific Islander populations. Because Native Hawaiians and Pacific Islanders are often grouped together with larger Asian American populations, their numbers are often lost or camouflaged. Because their populations are small, data is often not recorded or available. Because there are many different ethnic groups within this already small group, the data for specific ethnic groups is often not available. On Wednesday, May 31, the Commission attended a Town Hall Meeting in which members of the Asian Pacific Islander American (APIA) community at UM North Campus shared stories about what it is like to be APIA in Michigan. Over 60 people attended, including Korean Americans, Chinese Americans, Taiwanese Americans, Indian Americans, Vietnamese Americans, Filipino Americans, Pacific Islander Americans, and European Americans. Many prominent Asian Pacific American leaders made presentations to the Commission. Mayor Owen Diaz of Milan made some welcoming remarks. Frances Kai-Hwa Wang, acting editor if IMDiversity.com Asian American Village, described the shock of discovering how deeply rooted stereotypes are here, but how education and community can help overcome them. Dr. Sook Wilkinson, Chair of the Governor s Advisory Council on Asian Pacific American Affairs (ACAPAA), discussed the five Priority APA Initiatives for Michigan identified by the Council, including immigration education, APA content in Michigan K-12 curriculum, and improved access to health care. Roland Hwang, presiding officer of American Citizens for Justice talked about Civil Rights in Michigan. Linh Song, Executive Director of Mamnon Organization, talked about the needs of the Vietnamese American community and the international adoption community in Michigan. Dr. Jun Ni, Director of UM s SM Wu Manufacuring Research Center, discussed Engineering and Manufacturing in the US and China. Stephanie Lily Chang, One Michigan United, talked about affirmative action and the upcoming Civil Rights Initiative. Dr. Sela Panapasa, UM Institute of Social Research, talked about the Pacific Islander Community in Michigan. Jimmy Hsiao, CEO of Logic Solutions and board member of Asian Pacific American Chamber of Commerce, talked about the challenges and needs of APA owned businesses. Emily Hsiao, Huron High School and Ann Arbor Chinese Center of Michigan student, spoke movingly about the challenges of high school students fighting the Model Minority Stereotype. Dr. Diana Wong, EMU School of Business, talked about APA Workplace Issues such as glass ceiling and violence in the workplace. The formal presentations were followed by an Open Forum in which members of the community addressed the Commission. Many people spoke about the challenges and needs of the Hmong youth, Indian American community, Taiwanese American community, foreign students, APA businesses, APA attorneys, health care, workplace issues, women s issues, political involvement, local school board redistricting problems, and more. Mr. Nicolao Pulu of the Dept. of the Interior, Ms. Piyachat Turrell of the Environmental Protection Agency, and Mr. William Afeaki of the President s Advisory Commission made some concluding remarks. Mr. Afeaki brought official greetings from the President of the United States and said that the Commission has a lot of work ahead of it. The meetings were so successful that the Commission is already starting to discuss its next visit to Michigan. Owen Diaz is certain that his is the only Filipino family in Milan. And yet, Diaz, who emigrated from the Philippines and is a naturalized American citizen, has been elected to two terms as mayor of the city. University RecordPhoto: White House Commission at U. As always malò aupito, fa afetai lava tele, vinaka vakalevu! thank you so much for all your help today. it was great having so many speakers and friends there today. I think the meeting was very productive. hope you enjoyed it too. the commissioners all spoke at the end and were moved by how much they learned. it was also good meeting people in person after corresponding by email for so long. sorry it ran so far over. Time was hard to control with so much good information and such passionate speakers. We had over 60 people in attendance, from across the state! looking forward to working with you again soon. How does one make a difference in the world with only their computer/smartphone at their disposal? Can an everyday person become a social media activist and take the steps to create real, tangible change in this world? Is it even possible? Or is it naive and wishful thinking? In this panel, we will discuss the possibility of this matter and whether or not we can take advantage of the blogging/social media world to make a stand. "The Multicultural nature and history of Hawaii"
MC, Lion Dancing, and much much more! "Multicultural Toolbox--Raising our Children with Language(s), Culture(s), and Pride"
"A Workshop in Cultural Competence"
Asian Pacific American Heritage Month Luncheon and Panel Discussion on "Diverse Leadership for a Diverse Workforce." American Citizens for Justice special showing of "Vincent Who?" documentary for LaborNotes Conference speaker Jing Xiang and the Japanese delegation. Keynote speaker for the "New Communities: A Symposium on Exploring, Challenging, and Negotiating Contemporary Asian American Identity," at Purdue University. King School International Night MC (open to King School families ONLY, not open to the public), February 4, 2010. A three-part lecture series on Asian Pacific American issues at the University of Hawaii Hilo July, 2010, with two other scholars. Frances will be speaking on Asian Pacific American History and Heroes and giving a smaller workshop on Raising our Children with Culture(s), Language(s), and Pride. "Asian Pacific American History and the Law," University of Michigan Dearborn Sociology 380H, Fall term 2010. State Bar of Michigan 34th Legal Milestone for Vincent Chin case dedication ceremony, "From a Whisper to a Rallying Cry." A bronze plaque memorializing what occurred will be unveiled http://michbar.org/programs/milestones.cfm#events. Check out www.mgtv.org for live streaming. "On Becoming Asian American...in the Midwest?" "APA identities and generations across time and space"
Vincent Who? Screening plus Panel Discussion: Frances Kai-Hwa Wang, American Citizens for Justice Executive Director; Curtis Chin and Michael P. Lee, Vincent Who producers and Asian Pacific Americans for Progress. Vincent Who? Screening plus Panel Discussion: Ann Malayang Daley, past president American Citizens for Justice; Curtis Chin and Michael P. Lee, Vincent Who producers and Asian Pacific Americans for Progress. Vincent Who? Screening plus Panel Discussion: Frances Kai-Hwa Wang, American Citizens for Justice Executive Director; Curtis Chin and Michael P. Lee, Vincent Who producers and Asian Pacific Americans for Progress; Roland Hwang and Ron Aramaki, American Citizens for Justice. Vincent Who? Screening plus Panel Discussion: Frances Kai-Hwa Wang, American Citizens for Justice Executive Director; LG Almeda, Roland Hwang and Jim Shimora, American Citizens for Justice; Curtis Chin and Michael P. Lee, Vincent Who producers and Asian Pacific Americans for Progress. American Citizens for Justice, Inc., PO Box 851163, Westland, MI 48185. The event is co-sponsored by the Association of Chinese Americans, Ann Arbor Chinese Center of Michigan, FILAMCCO, Japanese American Citizens League-Detroit, the Governor's Advisory Council on Asian Pacific American Affairs, APIA Vote-Michigan, Council of Asian Pacific Americans, American Arab Anti Discrimination Committee Michigan chapter, Michigan State University. "Multicultural Toolbox--Raising our Children with Culture(s), Community, and Pride"
"Multicultural Toolbox--Raising our Children with Culture(s), Language(s), and Pride"
State Bar of Michigan 34th Legal Milestone for Vincent Chin case dedication ceremony, "From a Whisper to a Rallying Cry." Conference: "Opportunity for All: Inequity, Linked Fate and Social Justice in Michigan"
Growing up the child of immigrants, Frances Kai-Hwa Wang was both part of and slightly outside of Chinese culture and mainstream American culture. What does it mean to be Chinese American? Ms. Wang's discussion will touch on issues raised by this year s theme, China and America: Bridging Two Worlds, and the selected book, The Eighth Promise: An American Son's Tribute To His Toisanese Mother, by William Poy Lee. 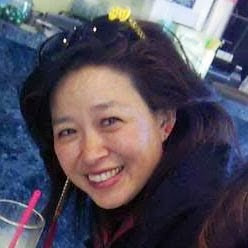 As acting editor of IMDiversity.com Asian American Village, Ms. Wang has written extensively on issues of identity and culture as process rather than simply one moment in time. She will share the stories of the different ways she has wrestled with identity and culture through her life, including during childhood, as a young adult, and as a parent. Michigan Roundtable on Diversity and Inclusion "Lunch and Learn"
"Raising Happy and Confident Asian Pacific American Kids in the US." Hatcher Library Gallery, Harlan Hatcher Graduate Library, University of Michigan "Becoming Asian Pacific American...in the Midwest?" "Becoming Asian Pacific American...in the Midwest?" Growing up in California, Frances Kai-Hwa Wang grew up both part of and slightly outside of Chinese culture and mainstream American culture. Then she came to the Midwest for graduate school and was completely culture-shocked into an activist Asian Pacific American identity. As Acting Editor of IMDiversity.com Asian American Village, Ms. Wang has written extensively on issues of identity and culture as process rather than simply one "Aha" moment in time. Ms. Wang will share funny and lyrical stories of the many different ways she has wrestled with identity and culture--as a child, as a college and graduate student, as a parent, and as an activist--bringing some of the themes of both The UM LSA China Theme Year and the Ann Arbor-Ypsi Reads straight to life in today's Ann Arbor. "Masks of China - Lions, Dragons and Painted Faces!" Growing up the child of immigrants, Frances Kai-Hwa Wang grew up both part of and slightly outside of Chinese culture and mainstream American culture. What does it mean to be Chinese? What does it mean to be Chinese American? How does one who does not "look the part" become fully American? Who am I in spite of all these labels? As acting editor of IMDiversity.com Asian American Village, Ms. Wang has written extensively on issues of identity and culture as process rather than simply one "Aha" moment in time. She will offer a brief introduction to Asian American history and share the stories of the many different ways she has wrestled with identity and culture--as a child, as a young adult, as a parent, etc.--bringing some of the themes of The Eighth Promise straight to life in today's Ann Arbor. 300 kids, 25 performances, 30 countries/cultures--all in an hour in a half--and simulcast into the gym for an audience of 1000. How cool is that? Chinese Lunar New Year's Day signifies the beginning of spring and is celebrated by ethnic Chinese and Taiwanese in many countries around the world, including Taiwan, China, Singapore, and America! Come celebrate the Year of the Mouse with Frances Kai-Hwa Wang and Ann Arbor's own Chinese American community with dance, music, martial arts, stories, crafts, and Yo-Yo! with performances by Ann Arbor Chinese Center of Michigan, Ann Arbor Chinese Dancing School, Ann Hua Chinese School, and Ann Arbor Traditional Chinese Music Ensemble.